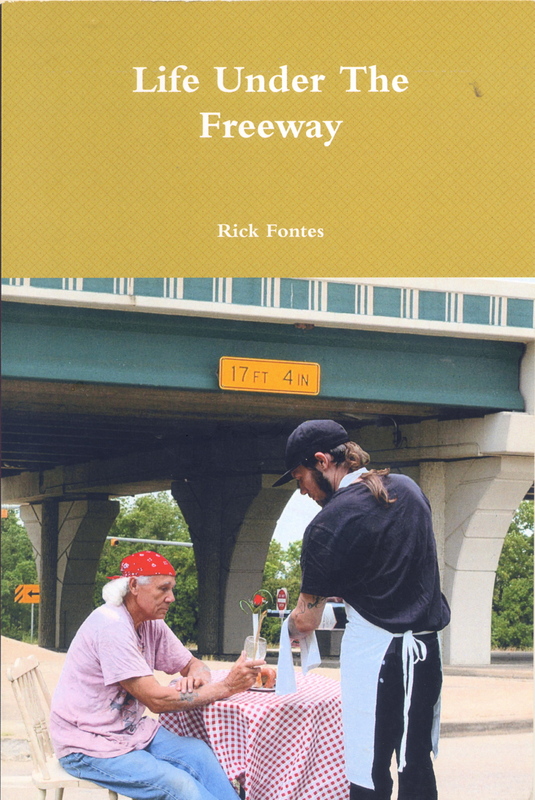 This will be the third installment of the “Freeway Giveaway”. There is no timetable for completion, just random postings whenever the mood hits. Today I have grown tired of staring at a monitor where the words of the new novel just won’t allow themselves to go where I want them to go. My characters are in full rebellion mode and so I think a brief pause to give them time to sort themselves out is in order. To fill the time I will post two more excerpts from Life Under The Freeway. For those who have not read the previous entries it works like this: I am drawing two numbers from a box and posting whatever is on the corresponding pages in the book. Todays’ numbers are 46 and 61. The book itself follows a narrative arc which will not be apparent in random postings. Anyone interested in seeing that development is encouraged to try the “look inside” feature on Amazon. Lifting us. Turning us. Pulling us. Clinging to the wheel of life. Love the nod to Shel Silverstein.